Here is one of the Bat Wing Clocks I have been working on. I completed it this weekend and it is listed now in our Etsy Store. This one is painted with a vintage Halloween theme. 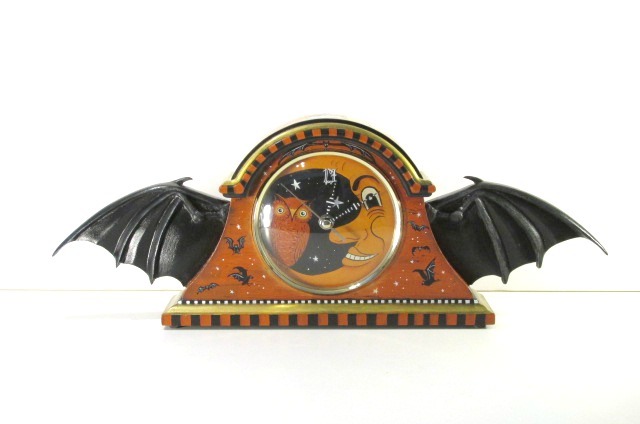 The front is a colony of bats flying about and the clock face has a crescent moon with an owl perched upon it. 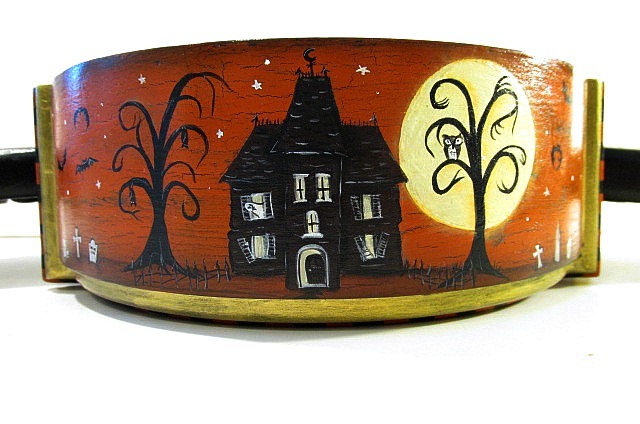 The top is painted with a Haunted House, tombstones, bats and spooky trees with some friends hanging about. There are lots of details on this clock. If you want to see more pictures check out the listing in our store. The other clock I am painting now is a Haunted Mansion inspired piece. It should be done soon so check back to see it completed.